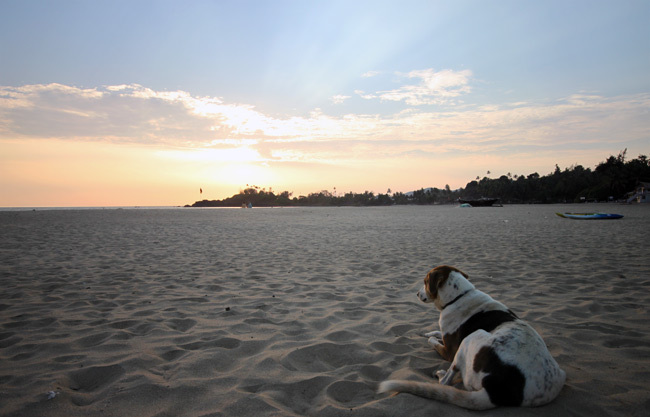 Dog lovers will love the golden shores of Goa. 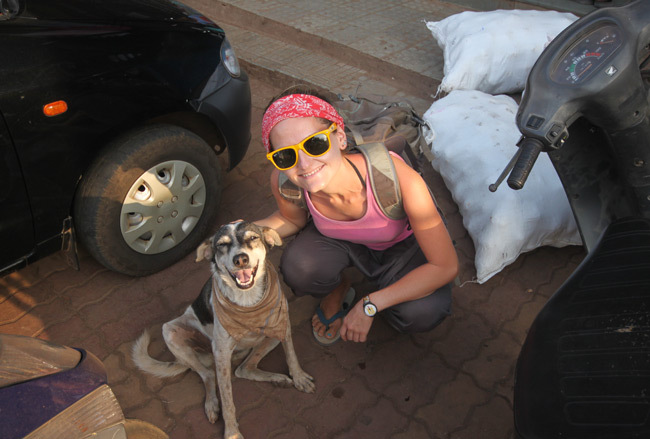 Along with the beautiful surroundings and pristine beaches, the local dogs are friendly and most importantly are used to human contact! Unfortunately a lot of locals tend not to like our canine chums, and treat them accordingly. Dogs congregate in the tourist areas, around more tolerant holiday makers hoping that some dinner scraps might come their way. 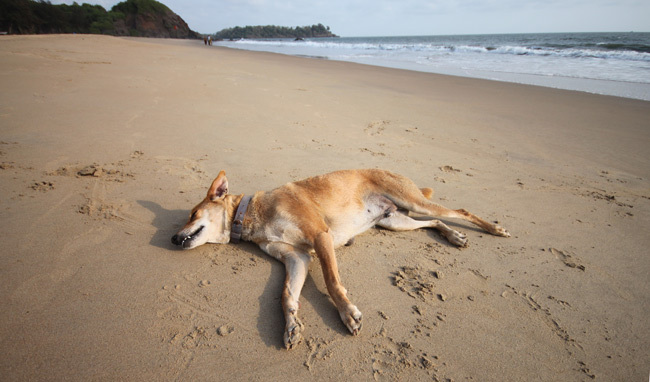 Beach life for the dogs is fraught with doggie complications. Naturally being very territorial, they fight for position within their packs. It’s a daily occurrence to hear them fighting if an outsider dog has strayed onto the wrong patch of beach! But all this aside, they’re loving creatures and enjoy human interactions, but they also become very protective of you over time. 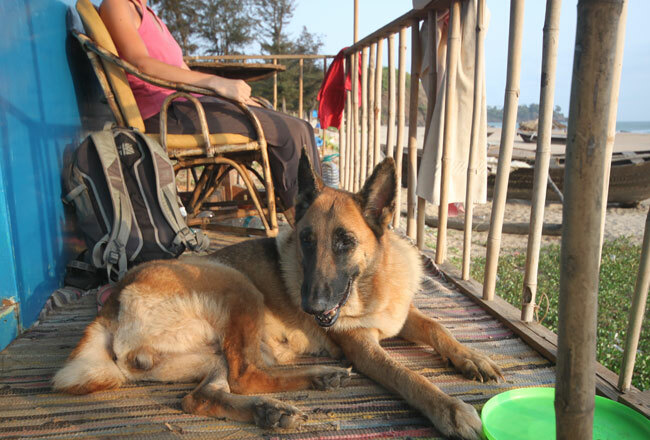 The longer you stay in Goa, the more doggie friends you will inevitably make! 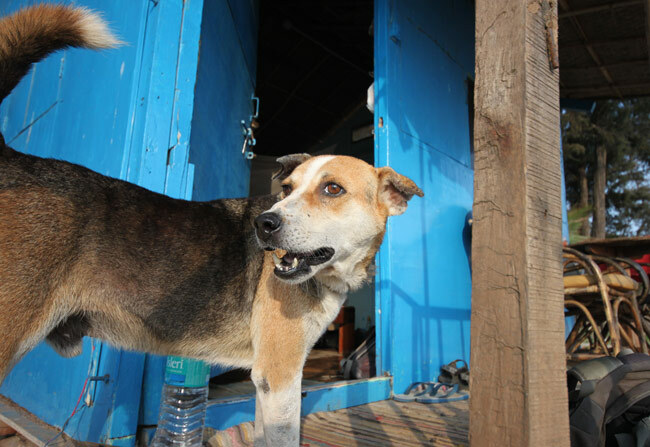 'Cookie' our shack owners guard dog. Worst guard dog ever! Eloise and I stayed on Patnem beach long after the season had finished, and became close with a lot of the beach dogs that live here full-time long after the tourists have gone home. They are full of personality and character, and like hanging out with their human counterparts! 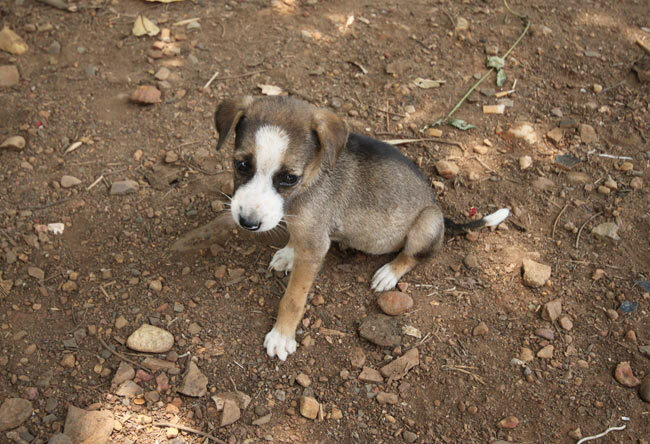 The majority of the stray dogs in the area have been spayed or neutered, aswell as receiving a critical rabies jab. You can tell the treated dogs as they have a little chip out of their ears to help identify them! We named this dog 'Handkerchief', but was actually called Suki! 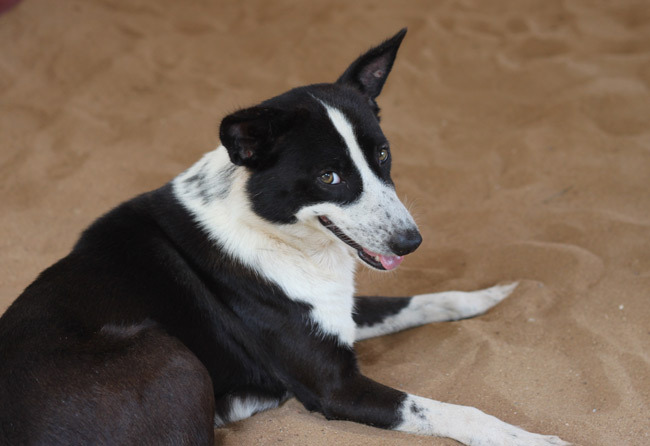 All the beach dogs look reasonably healthy, as they are fed largely by tourist left-overs. 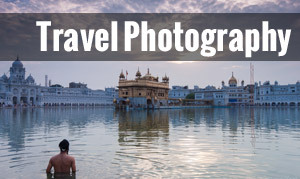 But what about during the long off-season and monsoon months? 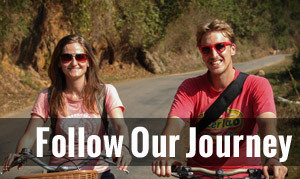 Our friend Janine runs the Animal Rescue Centre, helping animals from all over South Goa. 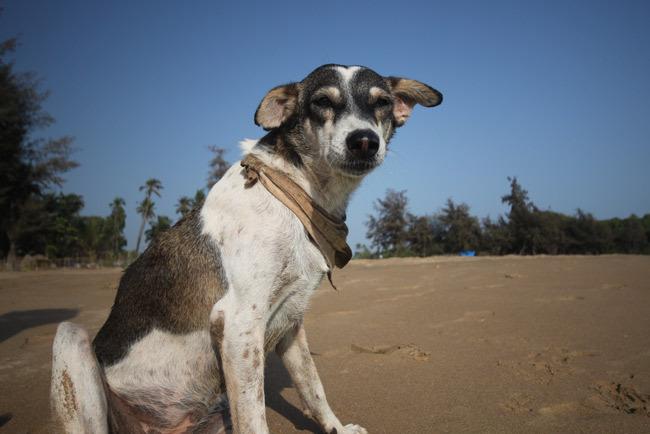 She feeds the dogs along the 3 most popular beaches in South Goa; Agonda, Palolem and Patnem during the off-season from her own pocket and donations made to the centre. 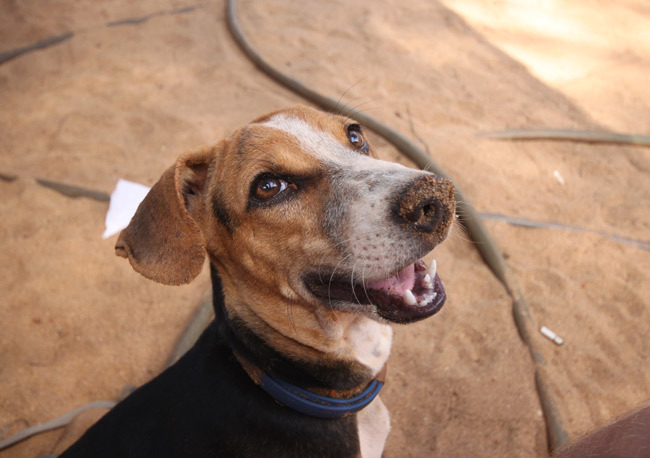 Check out the Animal Rescue Centre site, and check it out on Facebook. 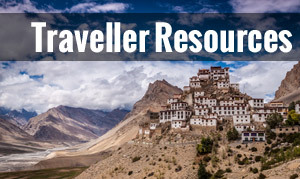 Any support helps! 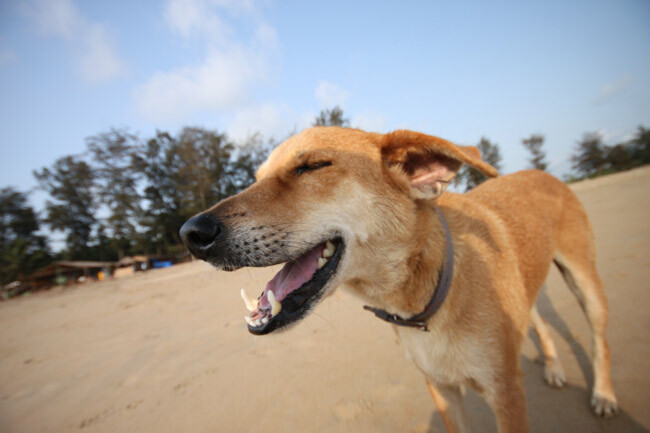 I’m not much of a dog lover, but wow did Goa have so many beach dogs. They would follow the girls so I spent a lot of time with them. I do wonder what happens to them during off season??? They’re all so nice.. well most of them! 😉 Really annoys me when I see locals kicking them around and stuff. Our friend Jamie runs a Animal Centre nearby and looks after them all during monsoon… she loads up a van full of chicken and feeds them all. That’s dedication!